Immigrant Visa Party | Live and Work in Canada Informational Seminar at Bayview Park Hotel - Gateway to Canada | Canada Immigration Consultancy! Because of so many crooked consultants here and abroad, many applicants are doubtful by default when in comes to dealing with immigration consultants. The truth is you don't need an immigration consultant to get your application approved. That is of course assuming that you know what to do. Then again, small mistakes cause big problems. With us, you will be guided. Unlike other start up immigration consulting firms, Canadian Immigration Consultancy has been in business for two decades now. And as such, we have already sent thousands of Filipino workers to Canada. We have the track record to speak of. In fact, we are conducting immigrant visa party every month! 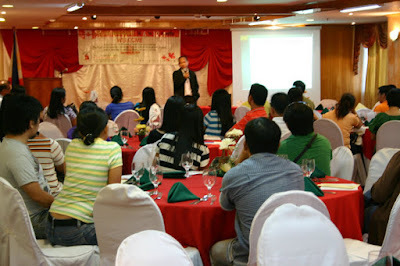 This month's schedule would be on November 20, 2010, Saturday 4pm at Bayview Park Hotel in Roxas Blvd Manila. If you are interested, reserve a seat now! Reg Fee is P600/head inclusive of dinner. Part of immigrant visa party is our in-house pre-departure orientation seminar to prepare our clients on their settlement in Canada. Simultaneously, we are conducting an informational seminar for those who are interested to live and work in Canada! It is never too late to start your application now. Reserve a seat now!